Aaron Thom is the President of Peak Development. Before starting this company years ago, Aaron worked with Scottrade and Morgan Stanley. 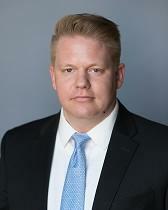 He holds his MBA from the University of St. Thomas in Minneapolis and Real Estate broker’s license along with previously holding his Series 7, 63, 65, and 3 investment trading licenses. He has also started and sold multiple successful ventures that were leaders in their respective industries. If anyone expects aggressive results, Aaron does.